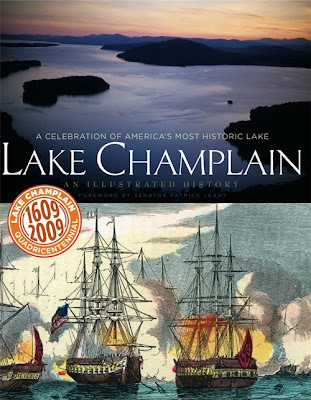 The Chimney Point State Historic Site on Lake Champlain in Addison commands one of the most strategic locations on the Lake, of importance to human beings for over 9,000 years. The site presents the Native American, early French, and early American settlement of the area. The special exhibit is What Lies Beneath: 9,000 Years of History at Chimney Point, highlighting the archaeological findings from the 2009-2011 bridge and temporary ferry project—including the likely location of the “chimney” that gave Chimney Point its name in 1759. You’ll see evidence from the earliest Native American habitation, the 1731 French fort, Moses Bradley’s 1790s redware pottery, and more. The exhibit was prepared by the University of Vermont Consulting Archeology Program and guest curator Kate Kenney. Bring a picnic and walk across the new bridge to take in the views in all directions. The site is open Wednesdays through Sundays and Monday holidays, 9:30-5:00. Admission is $3.00 for adults and free for children under 15. Orwell’s Mount Independence, a National Historic Landmark named after the Declaration of Independence, was built on Lake Champlain in 1776-77 to protect the American colonies against British invasion from the north. In the museum are state of the art exhibits and Revolutionary War artifacts, ranging from large items such as two huge logs from the Great Bridge across Lake Champlain and a cannon recovered from the lake to fish hooks and fish bones from the Revolution. Six miles of scenic walking and hiking trails wind past archaeological sites. The award winning Baldwin Trail, with colorful interpretive signage, is suitable for outdoor wheelchairs and strollers. The annual Soldiers Atop the Mount living history encampment is September 7 and 8. The site is open daily, 9:30 to 5:00. Admission is $5.00 for adults and free for children under 15. The Hubbardton Battlefield State Historic Site is the location of Vermont’s only Revolutionary War battle. It is considered one of the best preserved battlefields in America, retaining most of its original setting with stunning mountain views. The July 7, 1777, battle will be commemorated with the annual living history weekend on July 6 and 7. The site is open Thursdays through Sundays and Monday holidays, from 9:30 to 5:00. Admission is $2.00 for adults and free for children under 15. Information on the many special events planned for this year can be found online. The last day of the season is Monday, October 14. 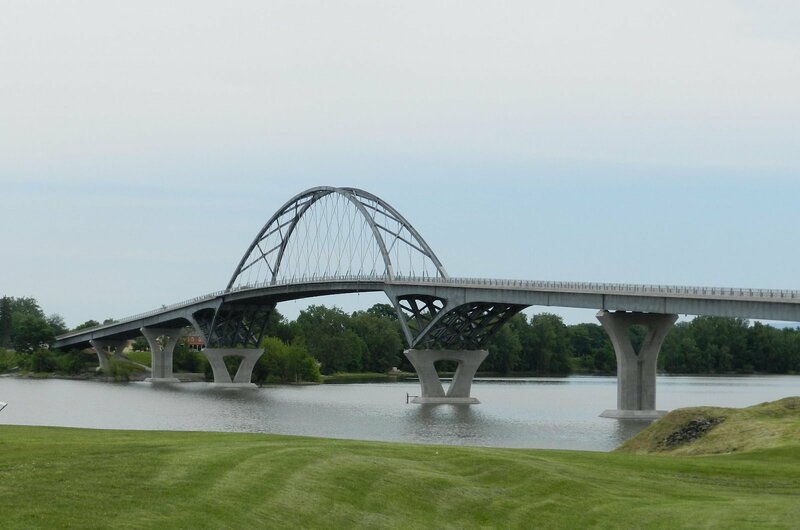 Photo: Crown Point Bridge (John Warren Photo).